Prancer came to our practice in November 2002 as a 2 pound stray. He has become Dr. Rickey's kids favorite pet. As part of a good dental health plan, he had his teeth cleaned today with five extractions. This will keep his heart and kidneys free of bacteria! That is an important part of preventative care in the geriatric animal. 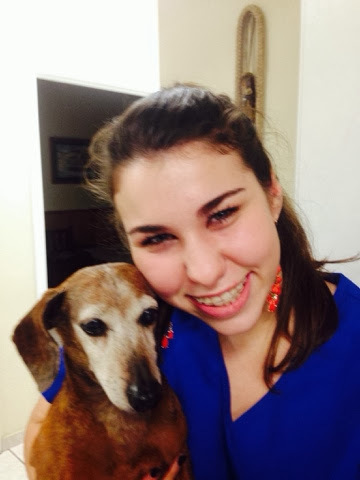 Here is Shelby Broussard who named Prancer when she was six years old!! !